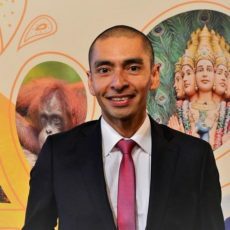 Randy Durband, CEO of the Global Sustainable Tourism Council (GSTC), in this interview shares his thoughts on sustainable tourism, why effective destination management is so important, and why sustainability presents at least as many opportunities as it poses challenges to tourism businesses and destinations. Randy’s professional experience includes almost 30 years in the tourism field, with positions such as President for Travcoa, INTRAV, and Clipper Cruise Lines, and Executive Vice President of Tauck World Discovery. His experience with the different rating and accreditation organizations. Randy, what was your view of sustainability and tourism when you started your professional career? Working for a tour operator offering packaged tours, I was proud of the fact that group tours on a motor coach are an energy-efficient mode of transport. That was before there was much discussion at the industry level of sustainability practices and policies, so my views were not nearly as broad and deep on sustainability as they are today. It has changed completely, because now there is well-established literature and debate regarding sustainability in travel and tourism. We’ve made a lot of progress in identifying needs and opportunities, and many subsectors are trying to do the right things, but we have not made strong enough progress by enough of the largest enterprises in travel. As a leader in the sustainability field, which have been your main insights? One is the lack of full recognition that sustainability is complex and needs to be thought of as a journey with continuous improvement and adjustments to ever-changing conditions. Another relates to the fact that travel and tourism is a highly fragmented industry with much variance in attitudes and knowledge about sustainability. That results in much confusion about terminology, goals, impacts, costs… really all facets of that challenging journey to sustainability. 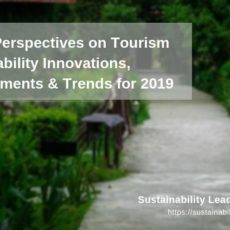 Another insight, or should I say strongly held opinion, is that I see effective destination management as essential to take sustainability in tourism to the next level. Aviation may be somewhat separated from this, but all other subsectors of the travel & tourism industry can and should be impacted by management approaches at the destination level. We need a combination of awareness-raising and reasonable regulation – in that order – to require sustainable practices and behaviors by travelers and travel providers. Global and national standards should be applied within the local context. Perhaps talking about sustainability has become mainstream. But true sustainability in policy and practice is in my view still in its infancy. Most of the discussion and best behaviors are limited to a too-small percentage of this very large industry. 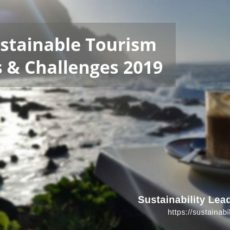 To my mind the top challenge for both sustainability in general and travel & tourism in particular is that demand for sustainable product must shift from soft to hard. Ask most consumers if they care about doing the right thing for planet and people and they’ll say yes. But their purchase behaviors are based mostly on price and convenience to them. They need to factor in their good intentions at point of purchase more than they do now. The top opportunity is for travel providers to get better at fusing traditional sales messaging with a new language that inspires the traveler to buy the products that are better for planet and people. I hope and expect that those marketers of travel who get that messaging right will enjoy competitive advantage. In which region(s) of the world do you see most interest and momentum for sustainability? Of the 3 interest groups – travelers, the private sector selling travel, and the public sector managing destinations – all seem to have the highest levels in the entire northern half of Europe. The second tier might include the rest of Europe and Australia. Most of the rest of the world, especially the two global giants of the USA and China, have a very long way to go. There has been some good ecotourism and adventure travel movement in the Americas, Africa, and elsewhere. I still keep 2013’s Overbooked by Elizabeth Becker top of mind as the best book in the recent past. Nothing I’m aware of came close in 2014. Why did you decide to lead the Global Sustainable Tourism Council? I believe in the mission of GSTC to develop and disseminate baseline standards for sustainability. Referring back to my earlier comments about my strong view of the need for focus on sustainable destination management as a key driver of improved sustainability in travel and tourism, the November 2013 release of GSTC’s Destination Criteria provides the global framework to move in that direction. That excites me. Early in 2014 GSTC needed a leader, and we agreed that it was a great fit for me to step in. Though I lack expertise in the technical issues of standards, accreditation, certification, etc., I do know something about the business of travel on all seven continents, am motivated, and have good organizational skills, so I thought I could make a contribution. How does the GSTC support tourism businesses and destinations? By providing a common framework for understanding what should be done to be able to claim they are working towards sustainability. By providing tools for learning, assessing, measuring, and managing for sustainability. Your experience with the different rating and accreditation organizations? There are more 150 certification schemes for hotels throughout the world. They range in quality from excellent to very poor. That difference in quality is a key reason the GSTC was originally created, to assess the quality of standards used by those certification schemes. GSTC Recognition simply means that the standard applies each of the GSTC Criteria; while GSTC Approval has a more qualitative side to it, verifying that the policies and processes of the certification scheme are sound. Connect with Randy Durband on LinkedIn or learn more about the GSTC on gstcouncil.org. 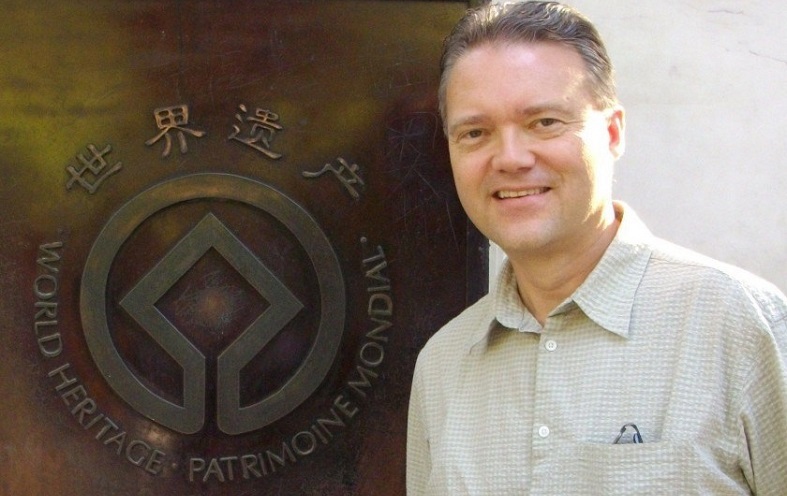 Enjoyed our interview with Randy Durband, CEO of the Global Sustainable Tourism Council? Share and spread the word!